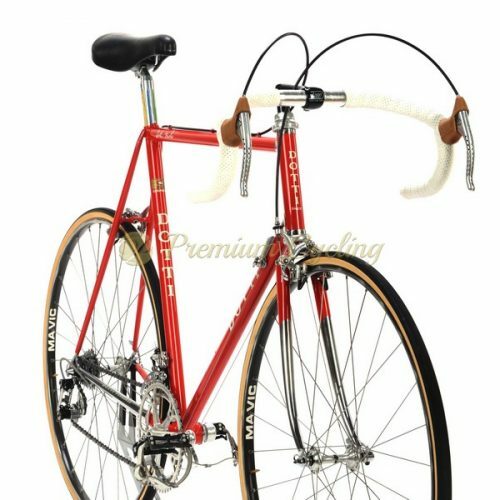 Ugo De Rosa was born on January 27, 1934 in Milan, Italy andis certainly one of the best frame builders of all time. 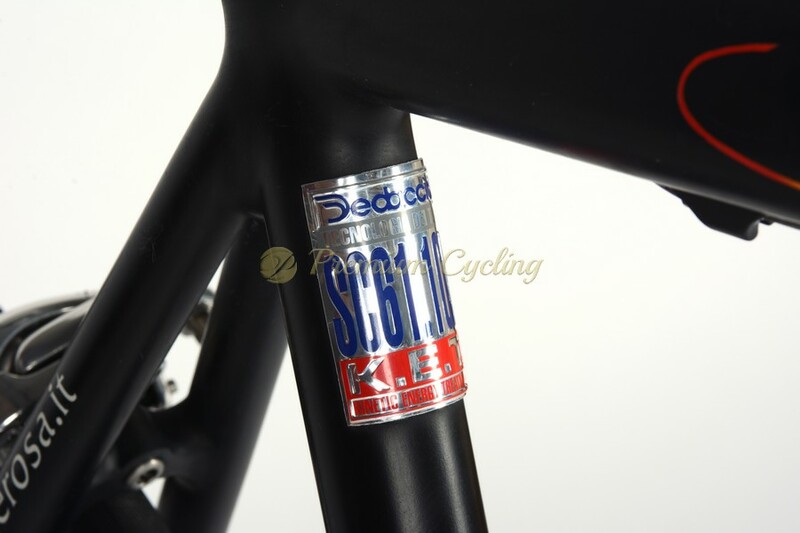 His passion for racing led him to study mechanics and engineering at a technical college, and later in the early 1950s he opened his first shop and commenced the manufacture of racing bicycles. 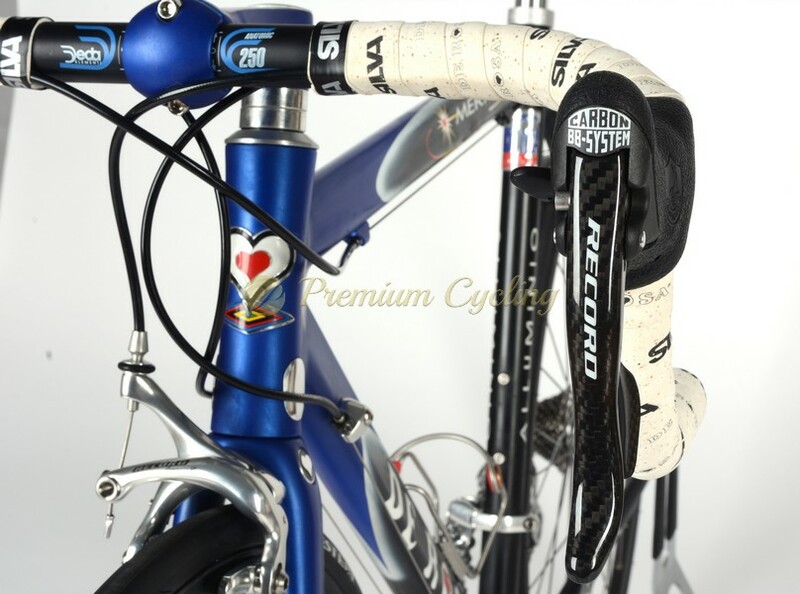 He supplied many champions with his high-end bicycles (Gianni Motta, Eddy Merckx and Francesco Moser…) and also manufactured masterpieces which strongly influenced the cycling industry with his amazing bikes from Cusano Milanino, Italy. We are proud to offer one of these beauties to you. 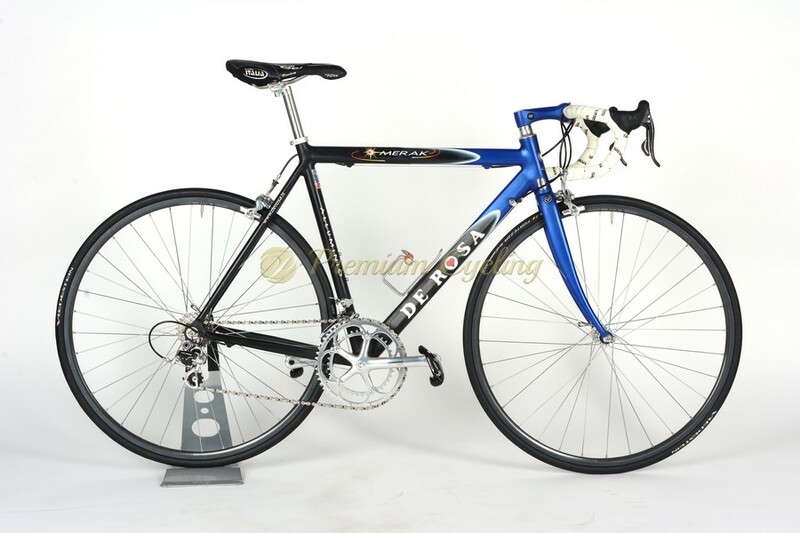 New old stock, DeRosa Merak Team 1999, completely built with superb Campahgnolo Record 10s groupset and Mavic SUP Ceramic wheelset. A unique example of Ugo De Rosa’s legacy, for true collectors and enthusiasts. Condition: NOS. The frame is in excellent condition, few tinny touch-ups. No dents, no cracks or bends. Groupset and components are in mint condition.